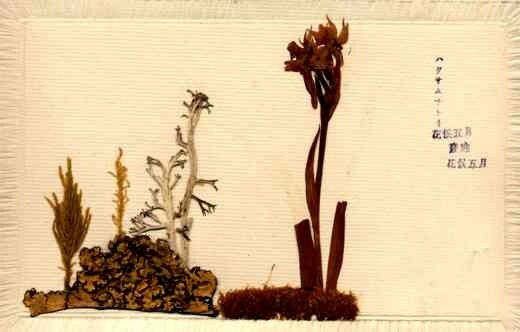 Dried Seaweed Japanese | VintagePostcards.com: vintage, old, antique postcards for collectors. The design of the actual dried plants attached. Published in Japan.